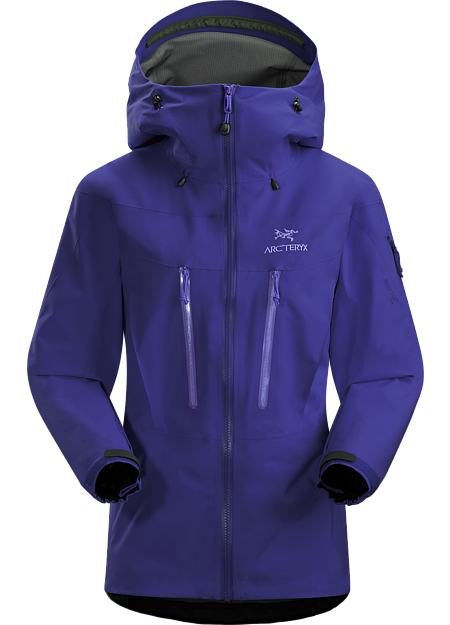 Highly versatile, thigh length women’s waterproof breathable shell designed using two different weights of GORE-TEX® Pro to maximize durability and minimize weight. 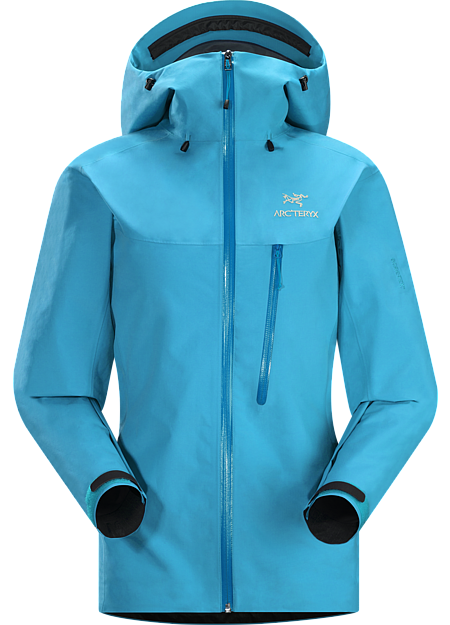 Theta Series: All-round mountain apparel with increased coverage | AR: All-Round. The women's Theta AR Jacket is a GORE-TEX® Pro storm shelter with a longer thigh length cut for maximum coverage, purpose driven design and cross mountain versatility. Hybrid mapping technology strategically positions two weights of GORE-TEX® Pro fabric to optimize each one’s specific performance benefits. 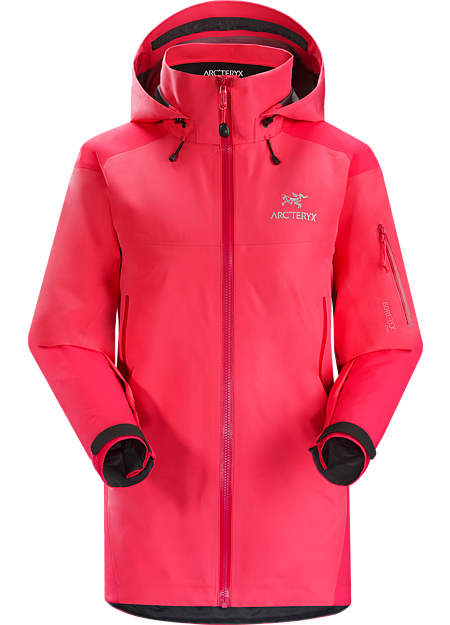 Highly breathable GORE-TEX® Pro with N40p-X face fabric is used in the main body. 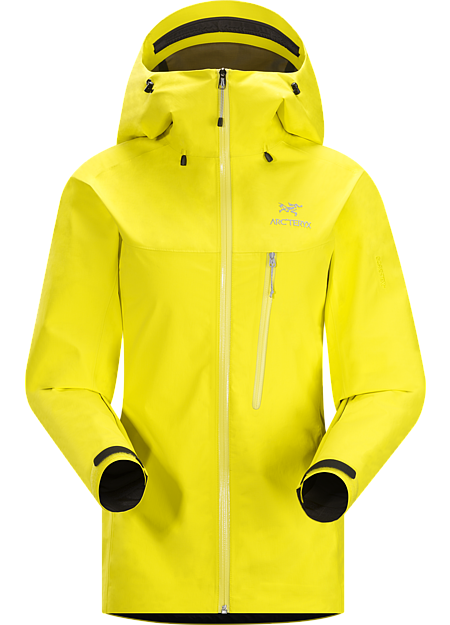 This supple, strong nylon ripstop keeps the jacket packable and light. Hardwearing N80p-X GORE-TEX® Pro provides abrasion resistance in the shoulders and forearms to elevate durability. 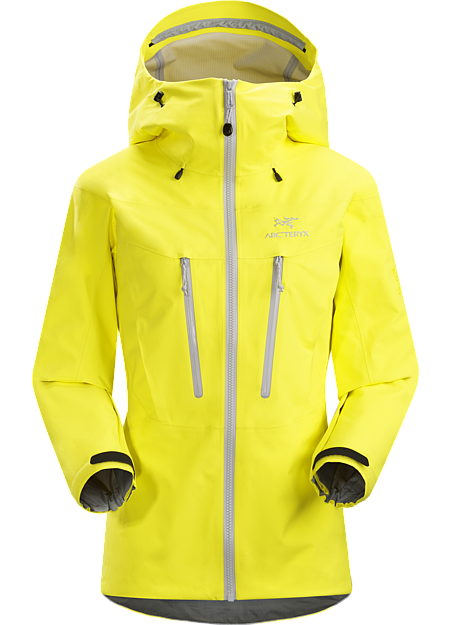 The Theta AR provides extensive coverage for backcountry ski tours, climbing and alpine travel. 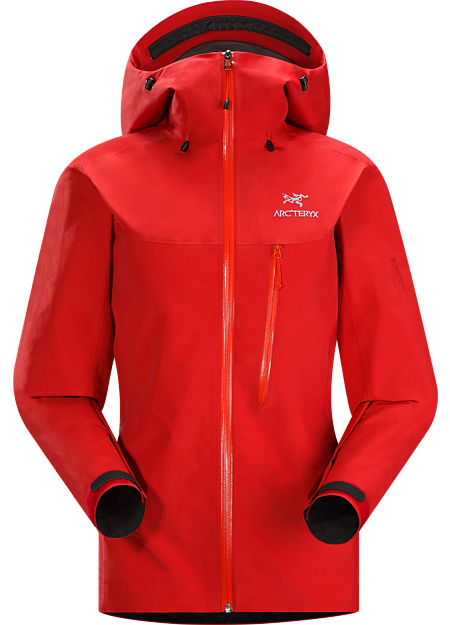 The hip length hem comes lower than other technical Arc’teryx GORE-TEX® shells to provide more protection from deep snow and driving rain. The length also helps the hem stay put under a harness or hipbelt. The helmet compatible DropHood™ adjusts quickly and easily, provides complete coverage with minimum impact on peripheral vision, and is designed with a separate collar that provides draft protection whether the hood is up or down. WaterTight™ pit zippers speed ventilation, and an adjustable drawcords at the waist and hem secure the fit and seal out cold. Pockets include two laminated internal pockets to safely store maps, wallet, smartphone or other small devices. A small laminated pocket on the sleeve is always in reach, and the hand pockets are pack and harness accessible. 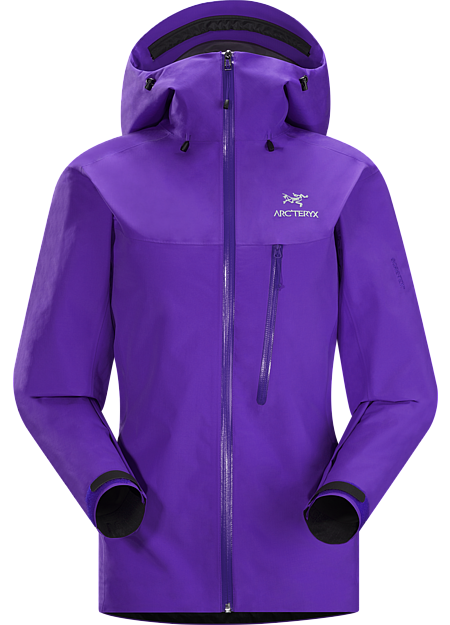 With a focus on fit, freedom and performance, the Theta AR is indicative of the longstanding Arc’teryx commitment to deliver use specific, function driven products for women. Articulation at the elbows and gussets under the arms elevate ergonomic performance and comfort, and the streamlined Athletic Fit with e3D delivers enhanced freedom of movement with room for low profile midlayers. 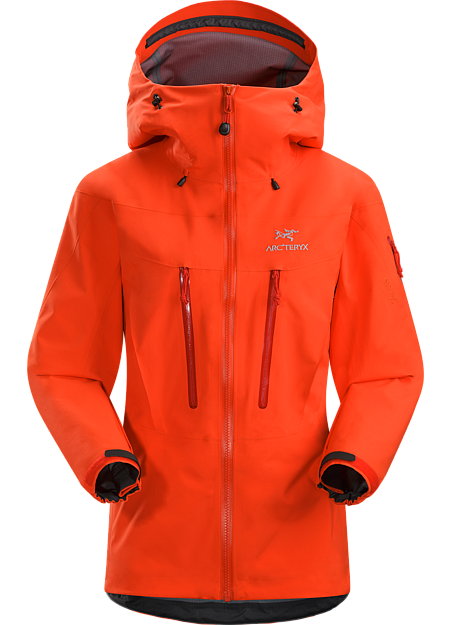 All around mountain use garments: longest length; chest pockets; interior pockets; moderate – expedition articulation and room for layers; helmet compatible hoods; drop hem.